Practically every organization has at least a few fiercely determined, talented workers. Like superheroes, they will run through walls to get a job done. However, if walls were not there in the first place, ordinary folks could get the same job done. Probably faster … and with less drama. Over the long haul, superheroes slowed by a bad process will be outperformed by mere mortals assisted by an outstanding one. This is not meant to say top-flight individuals are not important to an organization's success. They are. No doubt about it. But the sad fact is that only the top 5% of performers are going to be in the top 5%. The good news is that everyone, both the best and the rest, can deliver stellar results … with the help of well-designed processes. 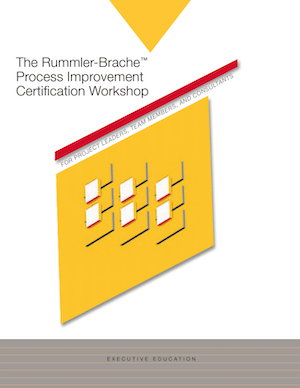 In the Process Improvement Certification Workshop, Rummler-Brache™ consultants teach managers how to redesign cross-functional processes so employees can achieve stronger results with less effort. This makes success less dependent on a few heroes, who, by the way, are more likely to stick around when senseless barriers are removed from their work. Most people think of management in the vertical or hierarchal sense. 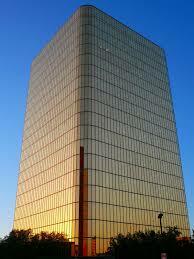 For example, boss to subordinate … supervisor to employee … top executives to middle management to lower level personnel. Managing in a process-centered organization calls for a new point of view. We’re dealing with work from a different slant. It is no longer simply a top-down, task-specific exercise. Management now involves broad responsibility for facilitating the flow of work from left to right. The old north to south style of management is too one-dimensional. Too localized. It had managers looking at their duties in a narrow-banded way, like a snapshot focused purely on our particular department or function. The rest of the organization was left out of the picture. Rummler-Brache™ consultants show professionals how to improve their decisions by viewing their companies through a wide lens that cuts west to east across functional boundaries. We also offer the workshop on client sites. Call 800-992-8849 for more information. 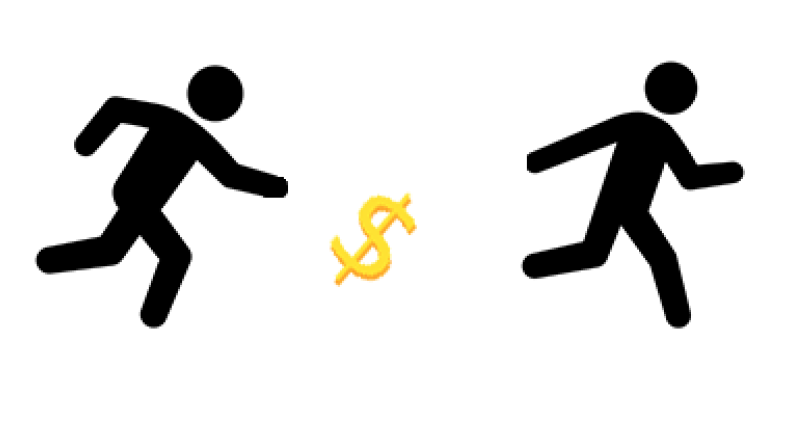 Organizations can eliminate waste and minimize low-value-adding work. Yet, they can still fail miserably if their processes are misdirected ... disconnected from the company critical objectives. An efficient process is of questionable value if it is off target in serving the organization’s higher level goals. 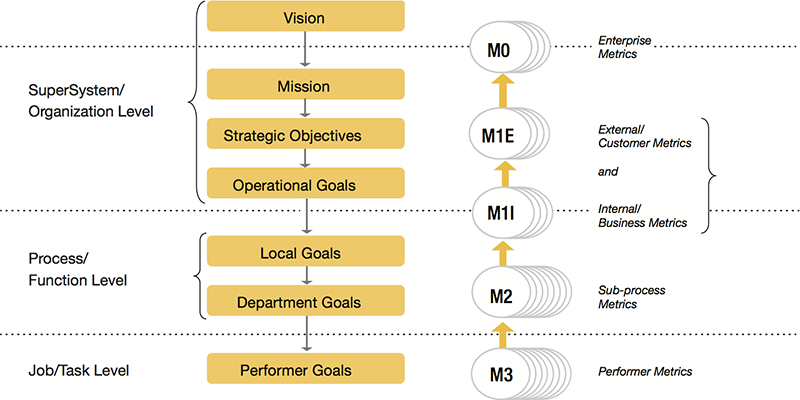 Our methodology tightly aligns individual and project goals with strategic ones. We ensure both people and processes are pointed in the right direction. Process re-designers often run into implementation problems because they follow the field of dreams approach: “Build an intelligent process and they will come.” When this sort of flawed, wishful thinking prevails, the process architects are banking on the idea that everybody will buy in to the changes just because they make good sense. But that rarely happens. People don’t automatically fall in line with a new process, even if it’s brilliantly designed. Our training equips attendees to deal with resistance to change which can be every bit as important to address as technical aspects. In fact, how well behavioral issues are managed can be the make-or-break difference in determining success at process improvement. We define a process as a series of related steps or tasks that together create value for the customer. The most important word here is customer. We believe the prime responsibility—the overarching assignment—of leaders is to make sure that the organization creates value for customers. To achieve that over the long term, management must pursue process improvement. That’s necessary because customers get served through processes. And the best opportunities for performance gains often lie in the interfaces between departments that are working on the same process. These gaps—this white space—is where the baton is being passed from one function to another. It’s right here that things so often get bogged down, screwed up, or lost altogether. Our workshop explains how customer value can be created simply by eliminating fumbled, cross-functional handoffs and the delays and poor quality that accompany them. The Rummler-Brache™ approach is straightforward. Not over-engineered. Everything fits together nicely. Each step naturally follows the next. We have perfected the “process” of process redesign by making it easy to learn and do. 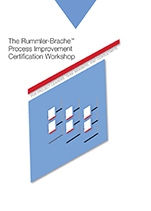 Each attendee of our Process Improvement Certification Workshop receives Rummler-Brache’s eProcess Improvement Project (ePIP) software. There is nothing else like ePIP. It shows what the deliverables for a process improvement project should look like, who should create them, how to create them, and in what sequence. The rich, digital toolset and insightful examples in ePIP help teams quickly learn our intuitive, coherent approach for process analysis, design, and implementation. Typical improvement campaigns (i.e. customer focus, process redesign, TQM, cost reduction, cycle-time reduction, Six-Sigma) focus on only one level. As a result, these efforts do not optimize overall results. In fact, they can do more harm than good if the “fixes” in one area create unintended, negative side effects elsewhere. Breakthroughs occur when leaders address all Three Levels of Performance and manage the whole system, not just tinker with a few of its parts. The Three Levels of Performance constitute one dimension of the Rummler-Brache framework. The second dimension—Performance Needs—is comprised of three factors that determine effectiveness at each level (and the effectiveness of any system). Many organizations become preoccupied with goals such as customer satisfaction, quality, cycle time, innovation, and employee empowerment. 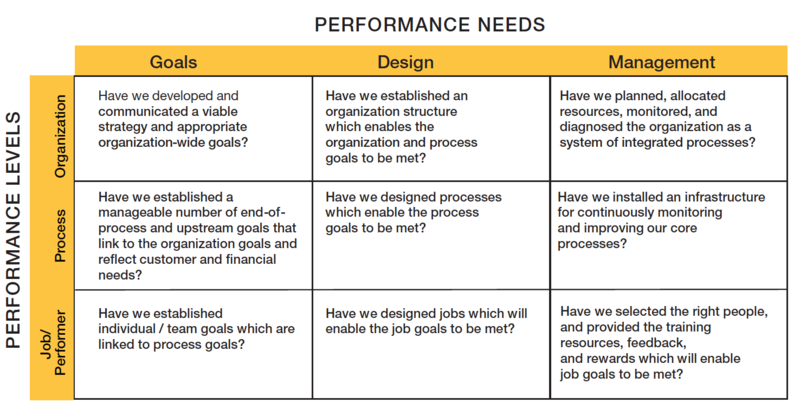 While these goals can lead to higher performance, they should not be taken as ends in themselves—improvements in these areas do not automatically translate into financial gains. The Rummler-Brache™ methodology links key metrics together to show the cause and effect between decisions and economic outcomes. The linkage enables leaders to manage the system and the bottom line. Beware of programs. By definition, programs end. Process improvement, by contrast, should never end. Too many organizations fail to move from programs to process improvement. 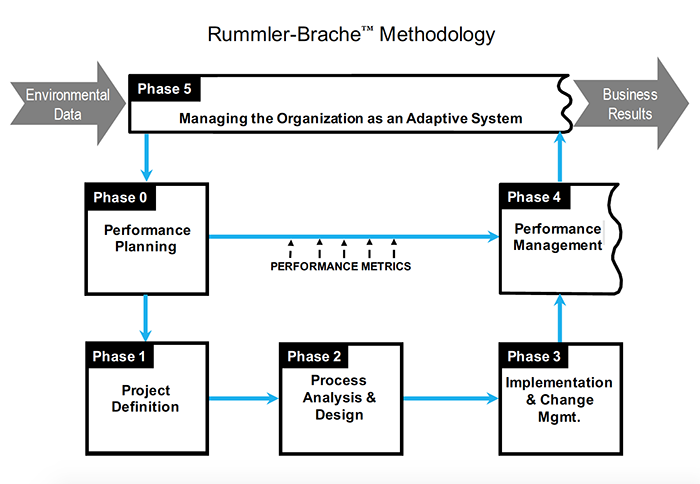 The Rummler Brache™ methodology helps companies build systems of leading and lagging performance metrics that trigger actions for continuous improvements. We know when done right, carefully chosen measures serve as the single, most powerful driver of an organization’s effectiveness. Assuming defective people are the source of all performance problems is as illogical as assuming that a bad battery is at the root of all car breakdowns. While the battery may be at fault, a good mechanic realizes that it is just one part of a system. Even if the battery is performing inadequately, it may be because of another component; the root cause may lie elsewhere in the engine. 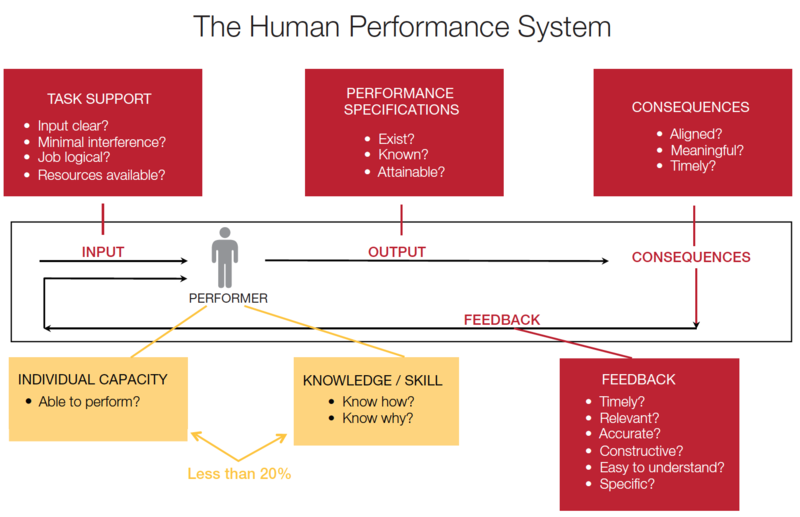 Similarly, we believe that individuals are one part of a “performance engine”—the Human Performance System (HPS)—that has many factors that influence performance. The Process Improvement Certification Workshop teaches attendees how to analyze the HPS and identify where changes will provide the greatest benefit. For most companies, over 80% of improvement opportunities in the HPS are located in the environment. And less than 20% of opportunities are found in the areas of individual capacities and knowledge/skill. These numbers suggest organizations tend to over-manage their people and under-manage the environment in which they work. A business isn’t just a collection of people. It’s also a collection of processes. And in most organizations, many of these processes have never been deliberately managed. They just sort of develop over the years. Nobody ever took responsibility for designing them. And nobody’s making sure they perform like they should. Chances are you’ll find no particular person is in charge of a process. Lots of people have their fingerprints on it, but no single individual is accountable for overall process results. 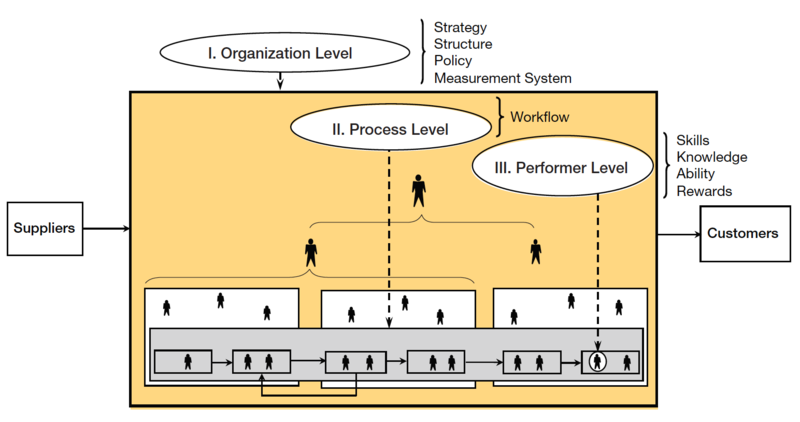 Organizations that follow the Rummler-Brache™ methodology assign the responsibility for each key process, including each cross-functional one, to a “process owner.” When people are held accountable for specifically what happens between the boxes on an organization chart, system performance tends to improve, often dramatically. The Rummler-Brache™ Group does not come with all the answers. Instead, we teach clients how to apply our methodology with rigor and discipline so they can find answers themselves. Our training helps organizations become less consultant-dependent and more self-sufficient. 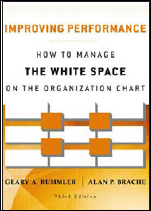 Our training expands upon the guidelines introduced in the best-seller, Improving Performance: How to Manage the White Space on the Organization Chart. This was the first in-depth piece written on the mechanics of process improvement, the nuts and bolts of how you actually do it. 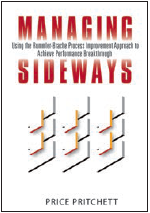 The methodology in the book was so embraced by readers that Rummler and Brache became the godfathers of process improvement. They helped spawn a cottage industry of BPM analysts, software vendors, consultants, authors, and conferences. Today, there are dizzying numbers of process improvement methodologies and technologies competing with one another. But in the light of day, none have demonstrated they can generate more sustainable, system-wide improvements than their predecessor, the Rummler-Brache™ methodology. While our consultants frequently tweak techniques, the Rummler-Brache™ core approach has never changed. It is battle-tested. It has the kind of tough durability that comes from surviving trial by fire. 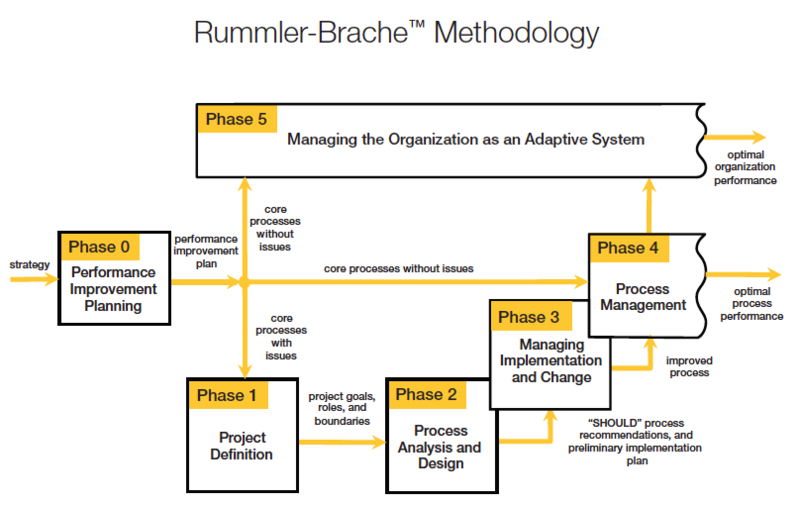 Our training teaches participants the six phases of the world-class Rummler Brache™ methodology with an emphasis on Phase 0: Performance Improvement Planning, Phase 1: Project Definition, and Phase 2: Process Analysis and Design. Participants who attend the workshop and pass the online exam will receive the credential, Rummler-Brache Process Management Professional (RBPMP) designation. ePIP software plus materials are included in the fee. Use corporate account #0560026236 for 15% discount.